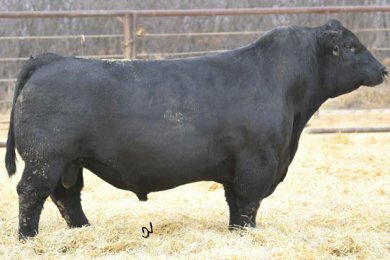 � You won�t find a SimAngus bull that is easier on the eyes and brings any more positive genetic pieces to the table than Main Event! 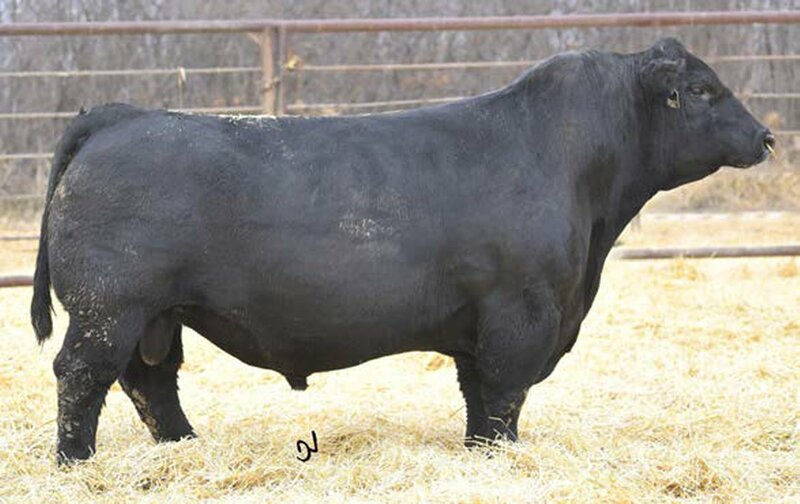 The $50,000 high seller at the 2015 Triangle J bull sale had lots of friends including those who had been waiting for him to come along since his powerful and wildly popular full brother died from a bone infection within a few months after selling for $60,000 in the 2013 Triangle J sale. The mating flat works! His Boyd New Day dam has done nothing but produce front end bulls since she started and the combination of her type and production (4@114 WWR 3@115 YWR, 3@114 IMFR and 3@111 REAR) with the power, muscling and EPD profile of NLC MR Upgrade has worked every time. The Nicholson family and the folks at Triangle J were extremely disappointed by the loss of TJ Center Stage two years ago, but Chris and his family came right back this year to get the brother that looked and performed so much like the one they lost. The good news is that TJ Main Event may be even better than his brother with the nearly ideal set to his rear pastern and foot that was the Achilles heel of Center Stage himself. Use Main Event to add growth and substance to his offspring along with a consistent, sale topping look.